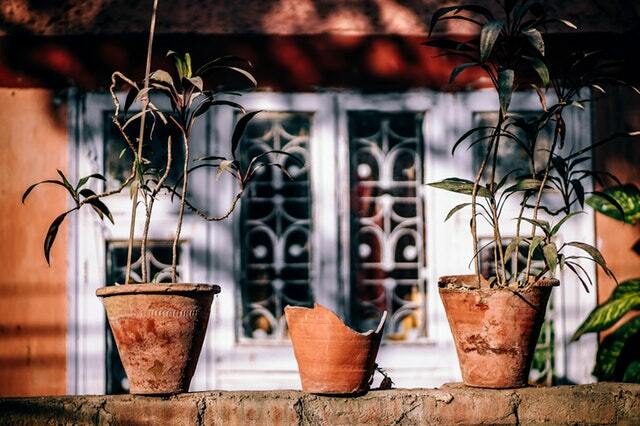 GoGardenNow - The Gardening Blog: Why did my terra cotta pots break in winter? 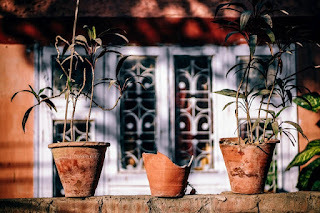 Why did my terra cotta pots break in winter? Q. I moved from Florida to Vermont last summer. I planted some evergreen junipers and arborvitae in terra cotta pots. All of the pots broke during winter. Why? A. More than likely the pots broke due to freezing temperatures. Moisture in the potting soil and in the terra cotta containers expands when frozen. Terra cotta will break easily when the moisture expands. I suggest you use containers made of more forgiving materials such as wood, rubber, plastic, fiberglass, metal or glazed clay. Can I move my amaryllis in summer? Why aren't all my shrimp plants blooming alike?